Manhattan, NY Sumaida + Khurana and LENY have closed on a $155 million construction loan for the development of 611 West 56th St., the highly anticipated residential development designed by Pritzker Prize-winning Portuguese architect Álvaro Siza. 611 West 56th St. signifies Siza’s first building in the United States and is being co-developed by Sumaida + Khurana and LENY. 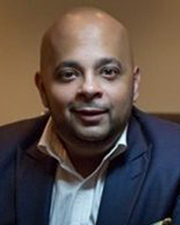 Madison Realty Capital and an investment fund managed by an affiliate of Apollo Global Management, LLC served as the lenders and Adi Chugh of Maverick Capital Partners arranged the financing. Attorneys Carl Schwartz and Susan Saslow of Hunton Andrews Kurth represented the joint venture. Madison Realty Capital was represented by Jerry Feuerstein and Avi Schachter of Kriss & Feuerstein. Apollo was represented by David Broderick of DLA Piper. Sales at 611 West 56th St. are slated to begin in spring 2019 and Leonard Steinberg, Debra LaChance, and Justin D’Adamo will lead the marketing efforts at Compass. Located in the evolving Hudson West neighborhood, 611 West 56th St. will stand 35 stories in height, encompass 163,329 s/f and feature 83 residences, ranging from one-bedrooms to penthouses. The condominium will also feature outdoor space, including a landscaped roof garden and sun deck, as well as private terraces for the residents. Residents will also have access to a state of the art fitness center, children’s playroom and a gracious entertaining space to host private events. AIA award-winning architects, Michael Gabellini and Kimberly Sheppard will collaborate with Siza on the building’s interiors and SLCE Architects will serve as the architect of record. Based in Porto, Portugal, Álvaro Siza is one of the world’s most celebrated and decorated architects. In addition to winning the Pritzker Architecture Prize, he’s received the Royal Institute of British Architects Gold Medal, American Institute of Architects Gold Medal and the Golden Lion for Lifetime Achievement at the International Architecture Biennale in Venice. 611 West 56th St. represents a major milestone for Siza, as it will be his first building in America. Over the last few decades he has maintained a consistent presence, designing iconic structures like the Boa Nova Tea House and Piscinas de Marés in Portugal during his early years, all the way through being recently commissioned to design projects in China, South Korea, Spain, Argentina, Brazil and the Netherlands. Sumaida + Khurana is a NY-based development firm focused on developing seminal buildings through an uncompromising dedication to architecture and craft. The firm commissions the world’s most renowned, contemporary architects to design their inaugural buildings in NYC. 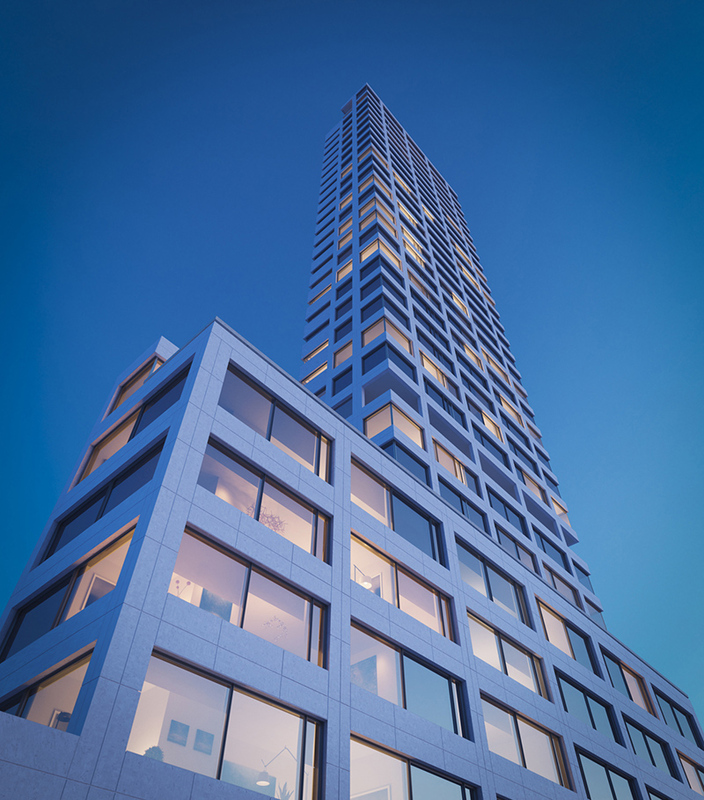 One of the firm’s notable projects, 152 Elizabeth, is approaching completion and is the first building in NY by Japanese master architect Tadao Ando. NY-based firm LENY has been responsible for the development of millions of square feet of residential projects around the world. The firm specializes in bringing to market high-end condominium buildings in premium locations and is currently focusing its efforts in NYC. 611 West 56th Street will be one of four projects the firm is developing, including 534 West 29th Street and the Berry Portfolio in Williamsburg. The firm is also one of the equity partners at 277 Fifth Avenue. LENY is collectively developing over half a million s/f in NYC.